As the age of the internet and its relationship with SEO continue to evolve, we webmasters must constantly be on the lookout for changes. If you have been in the business of SEO for years, then you certainly know that methods of optimizing a website must be changed sooner or later; in some cases, tried and true tactics become useless, while in other cases, they can be downright detrimental to your SEO. Whenever search engines like Google make changes to their algorithms, webmasters all over the world begin to panic that there suddenly may be an instance of negative SEO as a result of past actions that can penalize their sites’ rankings. If you want to stay on top of the game and make sure you catch old and new forms of negative SEO alike, then continue reading to find out about a few tools that can be of service. Perhaps the most widely-used and useful SEO tool to have for those who rely upon Google for traffic, Google Webmaster Tools is a free and easy utility that merely requires you to verify your website via Google. Once up and running, Google Webmaster Tools will help you find a variety of potentially harmful elements current present on your site. If you are pinging URLs to potentially damaging websites, GWT will find them and alert you. If there is malware currently installed on your website (which can affect rankings), it will let you know about this, too. Unfortunately, many jealous webmasters may attack your website because of its success by using manual link attacks; Google Webmaster Tools can detect this as well, and will let you know about it so that you can begin disavowing these low quality links ASAP. Those who believe there could be a variety of bad links hovering around their site’s repertoire need to consider grabbing CognitiveSEO. This tool will help hunt down any bad backlinks and give you detailed reports on where to find them and what to do about them. The easy to use interface allows you to quickly disavow them, ignore them if you believe they are false-positives, tag the links for later review, or reclassify the link’s status. Best of all, you can try CognitiveSEO free for two weeks with no obligation to continue using the service. We highly recommend CognitiveSEO if you are in the market for a premium utility that can hunt down negative instances of SEO. 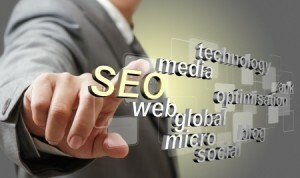 The goal in monitoring both negative SEO and traditional SEO is to minimize the number of tools you have to use. Going back and forth from one tool to the next is a waste of good time and resources, and this is why Cyfe may be the perfect solution for you. By providing one dashboard, you can combine the resourcefulness of tools like Google Analytics and GWT, as well as track your utilities that are pinging URLs for keyword ranking and SERP information. Cyfe can also handle multiple websites at once, so you’ll be able to incorporate (if you so choose) five different tools for five different websites into one interface. Cyfe offers a free service, as well as a premium service for $14 per month, which offers unlimited dashboard and widgets, historical data, and much more.